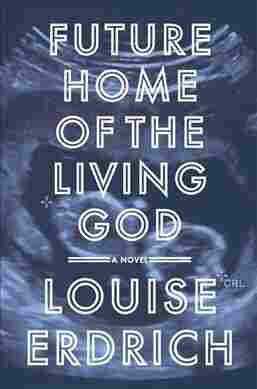 'Future Home Of The Living God' Is A Rare Stumble From A Great Writer Louise Erdrich's new novel is a frequently bizarre near-future dystopia that never really comes close to getting off the ground, but it won't dent her reputation as one of the country's best writers. Louise Erdrich is, without a doubt, one of America's greatest novelists. Her genius was evident early in her career — her 1984 debut novel, Love Medicine, drew considerable critical acclaim and earned her a National Book Critics Circle Award. In the following years, she was a finalist for the Pulitzer Prize for The Plague of Doves, and won a National Book Award for The Round House. She's proved herself to be a brilliant writer who can do almost anything. "Almost" is the key word here. Erdrich's gift for innovation has paid off in the past, but her latest novel, Future Home of the Living God, is an overreaching, frequently bizarre book that never really comes close to getting off the ground. It's not going to tarnish Erdrich's unbelievably accomplished career — it's hard to imagine anything doing that, short of her body-slamming Philip Roth after setting fire to the Library of Congress — but it does demonstrate that even the country's best writers stumble every once in a while. Future Home of the Living God, apparently set in the near future, follows Cedar Hawk Songmaker, a generically quirky 26-year-old Native American woman living in Minnesota. Her adoptive parents are "Minneapolis liberals" and "happily married vegans" with a distaste for religion that runs counter to Cedar's recently acquired intellectual brand of Catholicism. She's recently made contact with her birth mother, who lives on a reservation with Cedar's meth-addled half-sister, a character — well, a quasi-plot device — who disappears for much of the novel, only to resurface later for reasons that are unclear. Cedar's life has been happy enough, and then she encounters two pieces of surprising news. The first is that she's pregnant. The second is that America is fast on its way to becoming a hellish nightmare dystopia, with biological evolution starting to reverse itself and a religious totalitarian movement aiming to take control of the government. The timing couldn't be worse for Cedar: Babies have started being born with unusual characteristics, and now shadowy government squads are imprisoning pregnant women, hoping to figure out what's causing all the terrifying changes. Cedar is forced to lie low with her parents and with Phil, the father of her unborn child, who warns her, "They're offering rewards now for anyone who turns in a pregnant neighbor, acquaintance, family member, whatever." Cedar's freedom doesn't last long, and the rest of Future Home of the Living God tells the story of her desperate attempts to escape the hospital in which she's imprisoned. Erdrich, as ever, is gifted at pacing; the novel has the structure of a successful thriller. But that's essentially all it has going for it. The writing is oddly flat, and occasionally inexplicable. In one section, Erdrich dedicates a paragraph to Cedar's grocery shopping (she likes apples and wheat crackers), which somehow turns out even more boring than it sounds. It seems like it's meant to humanize Cedar, but a fondness for mozzarella cheese isn't a substitute for real character development, which is curiously lacking in the novel. Erdrich's gift for innovation has paid off in the past, but her latest novel ... is an overreaching, frequently bizarre book that never really comes close to getting off the ground. Too much of the novel reads like stoned dorm room philosophizing; Erdrich's writing can be pretty, but it's too often unclear what exactly she's talking about. "Evolution starts: a miracle," reads one passage. "Evolution stops: a miracle. Life follows the pattern of the vastness all around us. The universe is expanding and contracting in timeless time." It's poetic in its own way, but unfortunately, that way is "prog-rock band B-side from 1976." The most frustrating part of Future Home of the Living God, however, is Erdrich's failure to explain exactly what's going on. It's never really clear, even by the end of the novel, what happened to cause the reversal of evolution, or, indeed, what that even means. The vagueness is certainly intentional, but it's also inexplicable, and it makes the novel nearly impossible to parse. "The first thing that happens at the end of the world is that we don't know what is happening," she writes. But neither does the reader, and that's a problem. Future Home of the Living God is a deeply frustrating novel, all the more so because Erdrich is capable of much better than this. It's hard not to give her credit for taking a risk, but this particular risk just doesn't pay off. Erdrich's latest novel might be a well-intentioned disaster, but it doesn't change her status as one of the country's most gifted writers of fiction.